This is the part where you roll up your sleeves and get down to business. Lousy salesmanship is not acceptable, because you are building a base for sales going forward, establishing your reputation/ career. Doesn't sound very literary, does it? The intellectual property you've created is your product. Identify it, tag it, find your niche market and promote directly into it. This is one segment of promotion. There are others. Happy hunting! Blogging, or when I put up my profile on Goodreads or like sites. Just anywhere I guess. Not sure what info to put down for a promo. The summary I guess? Maybe a few lines that stand out in my book? My bio? I noticed some put a bio and others don't. Thank you for the info! Great stuff! I've never blogged before myself. Have no idea what to write. I guess write about places I have in book? I just don't know. I'll take a look at Book Blogs. This is a site yes? I wish I could like this 1,000 times. From what I've seen, the best promo is a free book. I'm not talking about a book that's free for five days. I mean a book that's "perma-free". Nothing seems to breed sales like the first book in a series being priced at $0.00. Publish a good free book the same time you publish a paying title and if your books are good, you can go far, fast. Step 6: Do interior layout (including inserting cover art as first page). Many people seem to suggest doing the print book layout and uploading to createspace first. Then doing the ebook layout. There's talk of using Calibre or other programs to format/convert files for ebook layout. Or you can hire someone to do it for you. Step 7: determine if you are going to self-publish under your own imprint or just have your books say they are published by Createspace and KDP. If your books say CS and KDP then that is a clear sign (to readers/reviewers, etc.) that your book is self--published. Some authors don't like that and make up their own imprint/publishing name. If you choose an imprint name do you have to file any DBA paperwork with the secretary of state or IRS or other? I don't know. Apparently going through Smashwords for ebook distribution gets your book listed as "smashwords edition" everywhere. Some authors don't like that and suggest uploading directly to kobo, blio, nook, etc. Apparently one can only upload to iTunes if you own a Mac (???? many have told me this, but it seems weird). Step 8: buy ISBN. You can either buy them from Bowker (you can buy 10 for $250), or buy from Createspace when you upload the print version (you have the choice to have either an ISBN assigned to createspace or you can pay extra to get one assigned to your own imprint). You need a separate ISBN for print and ebook edition. If you don't go through Bowker, how do you get the ebook ISBN - from KDP? I'm not sure. Step 9: create accounts as Createspace, smashwords, KDP, and everywhere else you are going to upload directly (you might need to do this earlier since you'll need to know the trim size of the print book to do the layout and then that will also affect the cover art dimensions, which you'll need to know to do the cover art). Hope this helps! I'm feeling my way through this, too, so hopefully others will clarify or correct anything I've said that is amiss. Agreed. 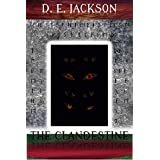 The first book to my series is free and it carries over to the other books. Enough so that I wish I could put more out faster, but the key is putting out a good book. This may also be a good time to mention two useful tools you can use for assessing marketing schemes. Let's say you see a particular book marketed in a certain way and you'd like to know if the author made an effective choice. You can track sales at Novelrank.com. Novelrank seems to list less than the actual number of sales but can still give you an idea of well a book is selling. Another tool is KDPCalculator.com. Type in a book's Amazon ranking and you can see an estimate of how many book sales a day that represents. The caveat here is that sales for a particular book can vary from day to day. I learned of both sites from folks here at AQ and I apologize for not remembering who told me about them. Some authors don't like that and make up their own imprint/publishing name. If you choose an imprint name do you have to file any DBA paperwork with the secretary of state or IRS or other? I don't know. Anyone know the answer to this? I'm curious as well. Thanks Mark and TBruce for the great info and suggestions. And Darke for seconding Mark's comment. I haven't self-published yet, but I've been prepping for some time and I work with self-published authors every day. I recommend anyone planning to self-publish read Let's Get Digital first. (You can download a free copy if you scroll down the linked page.) Below I added in a few missed points. It's important to remember that self-publishing doesn't mean literally doing everything yourself. Take advantage of the services offered by professionals who specialize in what you need. ***Creating fonts is a huge undertaking. I'd recommend researching a free-to-use font or purchasing a font license. ***Recommended that you purchase a cover unless you are employed in digital design or are a very, very good hobby artist with skills in digital media and a strong understanding of the unique needs of a book cover. Custom covers run from about $100 to $500, while professional pre-made covers (covers pre-designed that are sold once and customized with your title/name) run from as low as $25 to about $100. Remember that your cover is your book's packaging. If you want readers to expect a bookstore quality story inside, you need a bookstore quality cover. Do NOT expect readers to overlook a poor or amateur cover because the story is amazing; most readers will never see the story if they can't get past the cover. ***Missing step: Professional editing. Source and hire, at a minimum, a copyeditor to clean up your writing on a sentence level and a proofreader to clean up typos. Some books may require developmental editing as well (editing of the overall story, characterization, plot, pacing, etc.). This is step that many first-timers skip -- and regret skipping. A badly edited book will stall your career before it even gets going. ***The different sites recommend different dimensions but you don't have to use them. Amazon's recommended cover dimensions display very nicely on an iPhone but not on the Kindle, where it's too tall and narrow. Go figure. 6. Learn how to format. ***Again, formatting is something you can hire someone to do for you, usually for under $100. Depending on your budget, it may not be worth your time to learn this when you can pay someone to do it quickly and error-free. Do we push the publish button now? Am I leaving anything out? As always, Whimsy has it correct. Let's Get Digital was invaluable when I made the decision to self-pub last summer. Thank you so much for the link! I've PDF it and am looking forward to begin reading it today! Also thanks for the great info.! I'm a little worried about the pay for professional stuff because I was hoping to do all of this for free minus the copyright. I don't have a lot of money to throw around. I know it's just a little here and a little there, but it adds up. Going to try and do my best though. I asked on another thread if anyone knew of a free font. Never got a response. Thanks for seconding M.W. You know a product is good when more than one person recommends it. How much you want to spend really comes down to how seriously you plan to take self-publishing as a business. Think about any other business start-up -- there are costs involved. When it comes down to it, SPing is downright cheap compared to, say, starting a store or restaurant. If you want to do this for fun and just see what happens, look for bargains wherever you can. If you're planning to start a career that you hope to support you one day (don't bank on that day coming soon though, haha), treat SPing like you would any business investment: You have to spend money to make money. For budget saving, I recommend a pre-made cover over a custom -- much less expensive, but make sure you spend a good amount of time finding the right one. As for editing, there are less expensive editors out there. I'd choose copy-editing over proofreading because you just can't replace a good copy-editor. You can try to find one just starting out and cheap. For proofreading, you may be able to get away with reading it aloud to find typos. The copy-editor should take care of any grammar issues for you. It's hard to part with money (especially if you have to work hard to save it up) when you might not make it back for a long time. But put yourself in the shoes of a customer. Personally, I'd be wary of someone trying to sell me cookies in ziplock baggies from their back door. I'd rather part with more money for cookies in a branded little box from a real store. I'm more likely to trust the store's product because their investment is clear to see. If you as the author aren't willing to put some money into making your product great, you can't fairly expect readers to put their money into your product either. My opinion, anyway. :) Good luck! M.W., thank you for the advise and you are absolutely right. If I'm serious about this being a business then I have to pay to get it started so to speak. I'm looking into a couple things I can do on my own which looks to be everything so far, but the copy writing/proof reading by a professional is something I can't. So I'm looking around and going to do right by my business. I've thought of self-publishing but I'm extremely apprehensive. How can one know if a company is ethical or not? There seem to be so many complaints. If you find an image on the net, how can you possibly know if it's legal to use? Above all I'm not a technical person and I absolutely cannot format or mess with fonts. The stress of not knowing what to do is really getting to me. You're mistaking self-publishing for vanity press. Any company that offers you 'packages' to edit, market, format or anything for a price, is not worth it and so bloody expensive. Don't use them. Apart from the cover art, you can do the formatting yourself, or you can pay someone, but don't go through these companies. I use the Smashword guide. I don't do anything fancy and I have no problem getting through their meatgrinder the first time. As for photos, there are sites where you can purchase stock photos. How can you tell vanity presses and self-publishers apart? What is Smashword? I really, really don't want to do this at all. I prefer to write something, edit it, store it on a disk, then stuff it away so my estate can deal with all this craziness after I'm gone. But I've managed to produce something that a lot of people really want to see in print. So I'm considering 3 things: one, get an agent to pitch it. Two, try to sell it myself to a small press. Three, self-publish. I call them Bad, Worse, Worst, though it's hard to say which one is which, like a shell game that never stops. If this gets into print, if ever, its kind of important to me that it be of good quality. Not like somebody stepped on it. Where to begin, I just don't know. Smashwords is a distributor. You don't pay them to publish you. If you're paying a lot of money to a company to publish you, chances are it's a vanity publisher. Be careful of companies that say they provide self publishing services, but then also take a percentage of your royalties after you pay a lot up front, or who you have any type of long term contract with. Those are still vanity publishers. Here's what will happen with your three options. 1. Agent pitch to publisher - First, you'll have to write out a query letter. This is a nice 250-300 word cover letter (so to speak) of your story. You'll have to put in genre, word count and a catchy paragraph or so of the story. You'll also have to write out a couple synopsis. A synopsis can be a one or two page outline of your story. Bare bones kind of stuff. It's what you send the agent so they know what the story is about, and whether or not they can sell it to a publisher. Keep in mind, you'll get plenty of rejections and the query process could take months, if not years. This is one reason why many authors chose to self publish. If you do get an agent and publisher, you'll have to get on social media and promote and market the book. Many new authors have to do all this themselves, even with a big publisher. 2. Small Press - See #1, but instead of querying an agent, you query the publisher directly and most times, send the full manuscript with it. Depends on the publisher. Again, the majority of promotion and marketing will be left up to you. 3. Self-publishing - This is when you hire an editor, and cover artist and maybe someone to format the book. You can find some good deals within the indie community. As a matter of fact, I think Jen just opened her own site for editing. Here is where Smashwords, Amazon and a few others come into play. They're distributors and will get your book out there into multiple online book sites. Please, please, please, if you're going to do this, take your time, look over and research your options. It's going to be a long process no matter what path you chose. You don't do this to please someone else, you do it because you want to, you NEED TO. Everyone here has an insatiable drive to write and put stories out. It's what keeps us going. It's all we dream about.